This photo was taken at Becker Park in Roseland. This photo was taken near Campbell's Pond at South Mountain Reservation. 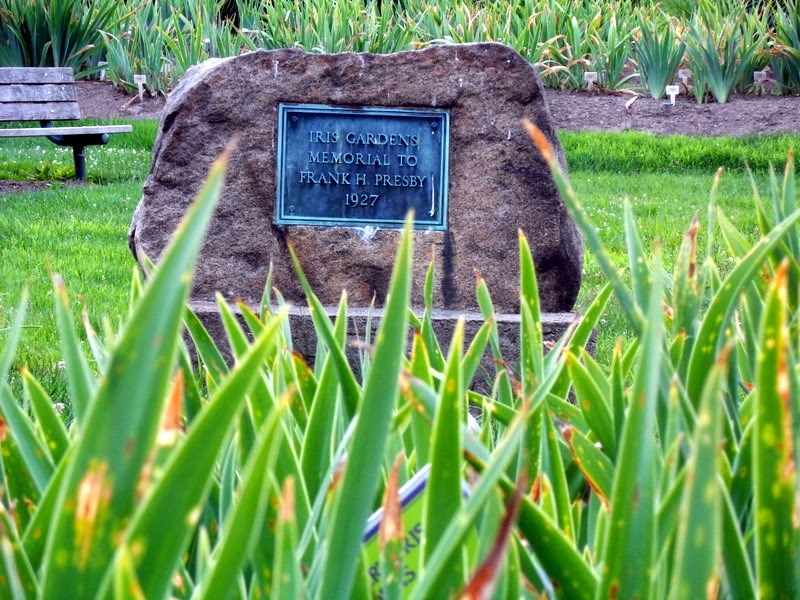 This photo shows the Presby Iris Gardens in Montclair. This photo was taken in Upper Montclair. The skyline of Lower Manhattan can be seen in the distance. 31 artists from Essex and Morris Counties won awards today at the annual Essex County Seniors Citizens Juried Art Show at the Essex County Hospital Center in Cedar Grove. "This is an excellent event for us to promote the arts and inspire our residents to use their talents", said Essex County Executive Joseph DiVincenzo, Jr.
All artists ages 60 or older were allowed to enter the contest. All submitted art works were judged on creativity, quality, style, originality, and composition. This photo was taken at Mills Reservation near the Montclair/Cedar Grove border. This photo was taken at South Mountain Reservation in West Orange. The first GlassRoots glassblowing demonstration will take place on Tuesday from 12pm until 2pm at the Military Park Farmers Market in Downtown Newark. Visitors to the market can observe the GlassRoots portable glass studio, and learn about hot glass making processes. The portable studio features a furnace which can reach up to 2,100 degrees. "The art of glassblowing is too often hidden, available to those who have the time and financial resources to experience it", said Katie Witzig, Chief Operating Officer of GlassRoots. "We are bringing it out into the open air. The creation of a portable hot shop brings the ancient art form of glassblowing to the general public". The farmers market takes place at Military Park every Tuesday from 10am until 4pm. Regular programs at Military Park include historical tours, chess, board games, ping pong, tai chi, a reading room, lunchtime poetry, and yoga and Zumba lessons. All programs are free. The park is located at the corner of Broad Street and Park Place.located at the corner of Broad Street and Park Place. The Montclair Historical Society will host several events next month. On Sunday, September 14, the Israel Crane House on Orange Road will host a program called 'The Jersey Tomato'. Attendees will learn the history of tomatoes in New Jersey from historian Judith Krall-Russo. The program is free, and will take place between 2pm and 3pm. On Sunday, September 7 and Sunday, September 21, the society will conduct tours of the Charles Shultz House from 1pm until 4pm. Tours cost $8 for adults, $5 for children and senior citizens, and $25 for a family. The Shultz House was built in 1896, and was donated to the Montclair Historical Society in 1997. Charles Shultz was a president of the Hoboken Bank for Savings. The house is located at 30 North Mountain Avenue. Do you enjoy making posters? If so, this contest is for you. The Montclair Film Festival (MFF) is holding a poster contest. According to the festival website, MFF is "seeking creative designs that showcase our community in a unique way, both to our local patrons and sponsors, but also to the national and international filmmaking community". The winner's poster will be used to advertise the 2015 festival. Plus, the winner will receive two free tickets to the opening night of the festival, plus recognition on the festival website. The deadline for the contest is October 15. A new restaurant opened this week in Upper Montclair. De Novo European Pub is located inside the Upper Montclair Train Station at 275 Bellevue Avenue. De Novo serves a variety of salads, flatbreads, pastas, and meats, in addition to brunch. According to the restaurant website, the bar is open until 2am on weeknights and Saturdays, and until 12am on Sunday. De Novo opens at noon every day. Essex County's second Chocolate Works location will open in Millburn in September. "We are so excited to open our chocolate shop in Millburn", said Randy Guttenberg, of Livingston, who will own the franchise along with Rob Weiss, of Short Hills. "It will be a family owned business. We each have young children and, with strong ties to the community, thought Millburn would be an ideal location". According to Guttenberg, the shop will sell a variety of chocolate covered items, including chocolate covered, pretzels, cookies, marshmallows, graham crackers, and fruit. In addition, truffles, fudge, and bark will be for sale. The store will also host chocolate themed birthday parties and workshops. The Millburn Chocolate Works will be located next to Red Mango at 321 Millburn Avenue, in the former location of the Bagel Chateau. The other Essex County franchise is located in the Livingston Town Center off of Route 10 in Livingston. Most locations of Chocolate Works, which has been in business for nearly 50 years, are located in New York. Do you remember the pianos which were placed throughout South Orange Village Center last year? The pianos will be coming back to the village this week! Six pianos will be placed at the corner of Irvington and West Fairview Avenues. the Sloan Street Gazebo, Spiotta Park, Cameron Field Park, Seton Hall University, and outside of the Gateway building. This Saturday, August 23, from noon until 1pm, professional musicians will play on each of the pianos. Plus, a jam session will take place every succeeding Wednesday from 5pm until 7pm at the Sloan Street Gazebo. Each of the pianos have been painted to reflect a certain theme. Bill Billec, Maeva Fouche, Lawrence Ciarallo, Sarah Walters, and 'Mac' McPeters were selected to be the artists for the project. The pianos will be in the village until October 6, and will be auctioned off in order to raise money for educational programming at the South Orange Performing Arts Center (SOPAC). Until then, the pianos are open for members of the public to play. The pianos are part of the 'Playin' Around South Orange' public art project from SOPAC, the South Orange Village Center Alliance, the Village of South Orange, and Seton Hall University. The project is sponsored by PNC Bank. A new restaurant will open in September on Route 46 in Fairfield. Sidelines Bar and Grill will be located at 198 Route 46 East next to Monster Mini Golf and the American Business School. "I want Sidelines to be known for it's amazing food and great customer service", owner Alexandra DiIorio told Essex County Place. "I want everyone to feel comfortable here and feel as if they belong here because they do, wheteher they're stopping by for a quick bite at lunch or hanging out on Sunday watching all of the games, or maybe they are bored on a Tuesday night, they can come shoot a few games of pool and and have a couple beers". This photo was taken at Eagle Rock Reservation in West Orange. The Jersey Animal Coalition (JAC) will likely leave its home at a South Orange animal shelter after more than nine years. This will come should a settlement be reached between the Township of South Orange Village and the JAC. As part of the settlement, more than 80 charges against the JAC would be dismissed if the organization and its animals vacate the property off of Walton Avenue near the South Orange Recycling Center. Deputy Village Administrator Adam Loehner told Essex County Place on Friday that there is settlement in principle, however it has not yet be officiated. "It's coming to an end", said Loehner. The shelter which currently houses the JAC opened in July of 2005, and remained open until March 12 of this year, when it was shut down and placed under quarantine after a joint inspection between the village and the state. At the time, the village issued more than 50 citations to the JAC, and issued over 30 more citations in the following months. On July 7, the JAC sued the Loehner, in addition to the Village Health Department, the Village Board of Health, Health Officer John Fests, and Village Administrator Barry Lewis, Jr. That afternoon, after reading the lawsuit, New Jersey State Superior Court Judge Dennis F. Carey, III ordered that the shelter be allowed to reopen temporarily. Adoptions resumed that night, and have remained ongoing. Former volunteers at the shelter, who recently claimed that they were banned from volunteering there, are reacting to the news. "Sad ending to what could have been a good shelter", said Nancy Schetelick, a former volunteer coordinator. "This news exonerates all the 'banned' volunteers labeled troublemakers for trying to improve conditions for the animals". Schetelick also questioned what will happen to animals currently living at the shelter. "Will the NJSPCA (New Jersey Society for the Prevention of Cruelty to Animals) finally step up and help relocate some of these animals? ", Schetelick asked. Former volunteer Gale Petrecca called the settlement "bittersweet for the long suffering animals". "We can only hope that JAC finally does the right thing and cleans up this mess entirely before closing the doors", said Petrecca. "They need to fling the doors open, let in the light, (and) allow adoptions at hugely slashed rates". Petrecca added that "it should not be about how much they can make on the remaining shelter pets but on getting every last one of them out of there before the deadline". According to Loehner, the village has not yet decided what will be done with the shelter should the JAC move out. Officials with the Jersey Animal Coalition did not return requests for comment. The office of Newark Mayor Ras J. Baraka has announced that five town hall meetings will take place this month at various churches throughout the city. All meetings will take place at 7pm. The schedule is below. Bus transportation from various neighborhood assembly points will be available for senior citizens or residents with physical disabilities. In addition, child care will be provided for children of parents who are attending the meetings. Those interested in attending one of the town hall meetings should call (973) 733-6706 or email townhalls@ci.newark.nj.us. The City of Newark's television station is now producing a new program. Called 'Newark Edition', the newsmagazine show about the city government is hosted by Soraida Peres on NWK-TV. NWK-TV can be seen by cable customers on channel 78 in Newark and South Orange. The first episode featured information about partnerships between the Newark Police and the community, a partnership between the cities of Camden, Newark, and Jersey City, National Night Out, and the Lincoln Park Music Festival. It can be viewed here. A Newark radio station's art gallery will host a free reception for an art exhibition in September. The art exhibition, which features works celebrating Hispanic Heritage, can be seen until September 30 at the WBGO Studio Gallery. The reception will take place on Thursday, September 4 from 6pm until 8pm. According to the WBGO website, attendees can view the exhibit, meet the artists, and enjoy a live performance. The artists are Luis Alves, Carlos Mateu, Fausto Sevilla, Mansa Mussa, Jonathan French, and Gina Rivas Velazquez. WBGO is a popular jazz station which serves New Jersey and New York at 88.3 FM. The WBGO Studios are located next to the New Jersey Historical Society at 54 Park Place, across the street from Military Park. The gallery is open weekdays from 9am until 5pm. A new exhibition will open this month at the ValleyArts Firehouse Gallery in Orange. The exhibition is called 'Transformed: Looking at the Age of Edison Through the Witness Trees of Glenmont', and will be on display from August 28 until October 5. The 'Witness Trees' displayed were once trees located at Thomas Edison's Glenmont Mansion in West Orange. The trees fell during Hurricane Sandy, and were turned into 'Witness Trees' by Rhode Island School of Design students. According to a press release, students created various objects out of the trees. One student created wooden fortune cookies out of bark dust and flour with messages describing the experience of Chinese immigrants in the 1800's. Others show the experiences of the working class. The ValleyArts Firehouse Gallery is located in a former Orange firehouse constructed in 1905 at 580 Forest Street. The gallery is open on Thursdays from 5pm to 7:30pm, Saturdays from 10am to 4pm, Sundays from 1pm to 4pm, and by appointment. Admission to the gallery is free. Essex County recently announced that infrastructure updates will be made along Oakwood Avenue in order to improve access to Monte Irvin Orange Park. According to a press release, new sidewalk ramps, pathways, crosswalks, and roadway striping along Oakwood Avenue will allow senior residents of Mount Carmel Towers, Oakwood Towers and the Orange Park Apartments to easily and safely access Orange Park. These buildings are located across the street from the park. "The highest concentration of senior citizens in the City of Orange live in this area and we are pleased to have been able to work with the County to get these improvements completed that improve the safety of our residents,” said Willis Edwards, Business Administrator for the City of Orange. The City of Orange's annual Back to School rally will take place on Tuesday, September 2 at 3pm. Free school supplies will be distributed at the rally. This year's event will feature free food, a marching band, a drum roll competition, a jazz band, and more. In addition, Bill Cosby will make an appearance at the rally, which will take place in front of Orange High School at 400 Lincoln Avenue. Mayor Dwayne D. Warren's Third Annual Caribbean Community Fair and Soccer Tournament will take place at Monte Irvin Orange Park on Saturday, September 6. The event will raise money for New Jersey Caribbean-American high school and college students who are living away from their families in the Caribbean. The tournament will be sponsored by Caribbean Sports International (CSI) of Maplewood. "Being displaced from the Caribbean and living in the United States in order to pursue education and opportunities is a wonderful accomplishment for many", said CSI president Anselm Lebourne. "However, that must still be balanced against leaving home and the family. CSI seeks to provide scholarship funds and mentoring to these students". Registration for the soccer tournament costs $325 per team before August 31, $375 from August 31 to September 5, and $425 on the day of the tournament. All games will last 30 minutes. Teams interested in participating can learn more here. Have you and your family ever wanted to go camping right here in Essex County? If so, this event is for you. 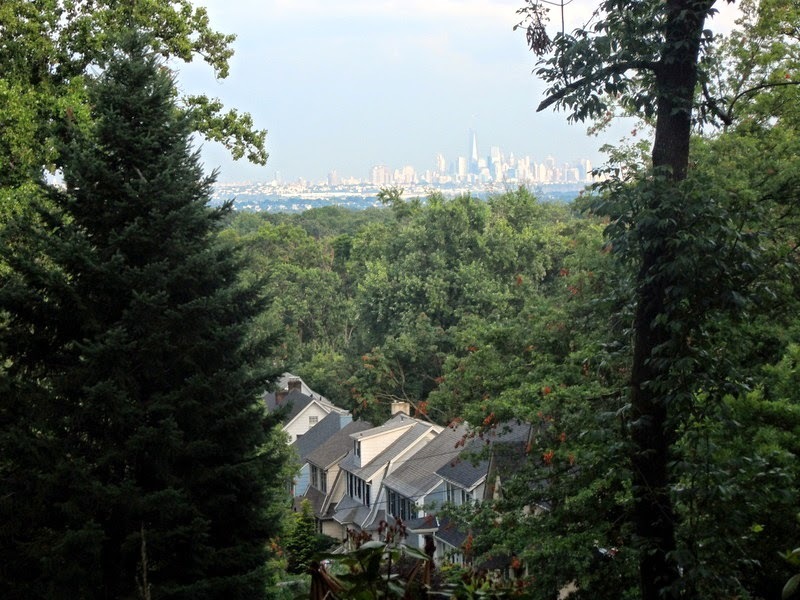 The South Mountain Conservancy (SMC) and the Essex County Department of Parks, Recreation, and Cultural Affairs have announced that a family campout will take place in September. According to the SMC website, the campout will take place from 2pm on Saturday, September 13 until 11am on Sunday, September 14 at Summit Field in South Mountain Reservation in Maplewood. Interested families are asked to become members of the Conservancy ($25 per year) and pay an event fee ($25) when they register beforehand. Enrollment will be limited to 35 families. Activities will include guided nature hikes of South Mountain Reservation, tours of the South Mountain Wildflower and Forest Preserve, a bike and scooter fun ride, a scavenger hunt, an evening program, and a campfire and storytelling. The event is designed for families with young children ages 12 and under. Those interested in attending should bring a tent with a waterproof ground cloth, sleeping bags and pads, a flashlight, and bug spray, plus dinner and snack. A light breakfast will be provided on Sunday morning. In case of rain, the event will be rescheduled to the following weekend. For the campout, a family will be considered as two adults ages 21 and over and up to four children. Dogs are not permitted. If you are interested, sign up soon, as enrollment is limited to 35 families. Summit Field is located off of Crest Drive and Bear Lane near the South Mountain Reservation Dog Park. If you have questions, you may contact the SMC by calling 844-SOMOCON #7 or by sending an email to familycampout@somocon.org. This photo shows Winding Way at Eagle Rock Reservation in Montclair. This photo shows Hemlock Falls at South Mountain Reservation in Maplewood. This photo shows the Orange Reservoir in West Orange. The reservoir is located within South Mountain Reservation, and features a 1.7 mile long walkway, paddle boating, and a children's playground. The South Orange franchise of The UPS Store will be featured in an upcoming commercial for the national chain. Interior and exterior shots were used of the South Orange Avenue store. The commercial features Barbara Corcoran, who co-founded New York real estate agency Corcoran Group, and is well known for being a 'shark' on ABC's show 'Shark Tank'. George Berkeley, the owner of The UPS Store in South Orange, can also be seen in the commercial. The 30 second long commercial was filmed in April, and can be viewed here. The eighth annual South Orange Health Fair will take place this year on Saturday, September 6. This year's event will be held at the South Orange Fire Department headquarters at Sloan and First Streets. According to an announcement from Monday night's Board of Trustees meeting, several health screenings will be offered, and free smoke alarms and educational pamphlets will be handed out. There will also be a variety of activities for children, including face painting. A new business will open soon in South Orange. The Dancing Blender Smoothie Company will be located at 121 South Orange Avenue between S&S Beauty Supply and Sonny's Bagels. Owner Manny Adeleye once owned a similar business in South Orange several years ago. According to the Dancing Blender website, the business will serve a variety of sandwiches, wraps, salads, smoothies, and juices. Rita's Water Ice used to have a location in the space, before moving down South Orange Avenue to the Vailsburg section of Newark.